Fellow Zazzlers: I have just discovered rich pins. It is so easy to use and some claim that using rich pins has increased their sales dramatically. I cannot personally attest to that fact yet, but I am excited at this new feature and I think everyone should consider it for better marketing your Zazzle designs. Quite simply, rich pins have the company logo and the price of the product on the pin itself and are updated automatically as the website is updated. For some companies, they also indicate availability but this does not appear for Zazzle, perhaps because, being a print-on-demand firm, most products are almost always available. Pinterest also claims that pinners receive a notice when a discount is offered on a product they pinned. The big advantage is that people who repin a rich pin cannot separate the source information from the image. Below you can see the difference between a rich pin (first image) and a regular pin (lower image). Once you are approved for rich pins on Zazzle all your pins, both future and historic, become rich pins. That is true for all your boards, individual and group boards alike. Get approved and then you pin freely. First, get the URL of a product you want to pin. You find this on the "share" window, and use the link that includes your affiliate code as shown in the image to the left here. Then, you go to the Pinterest Rich Pin Validator (see below) and add the URL for a product you want to pin. Your approval should be automatic and instantaneous for Zazzle. Product pins are only one kind of rich pin currently offered by Pinterest. You can set up recipe pins, that show the ingredients right on the pin itself, movie pins that show ratings, cast and reviews, article pins that show author, title and article description and place pins that include a map, address and phone number. Automatic and immediate approval may not occur for all websites that are set up for rich pins. I am still waiting for approval for a Wizzley pin, for example. But I am sure it will happen. While rich pinning means that all repins travel with the source data and your own referral ID, individual shoppers who pin from the Zazzle site for the fun of it will not have access to rich pins and therefore their repins can be separated from your affiliate code. Oh well! Nothing is perfect! I don't know if that makes a difference, but I had heard that you should not promote too many affiliate sales items on a personal account. It was easy to do. Just use this business Pinterest link and click where it says "convert here". Do you RICH PIN yet? Ahh, I get it. Thank you so much Sheri. Great article. Very helpful. Appreciate it. Anne - you do not have to do anything separately other than pin your Zazzle products onto any board or boards that you want to. Once validated, all your Zazzle pins should be rich pins. Just keep pinning. And good luck with sales. So, I'm a little confused. 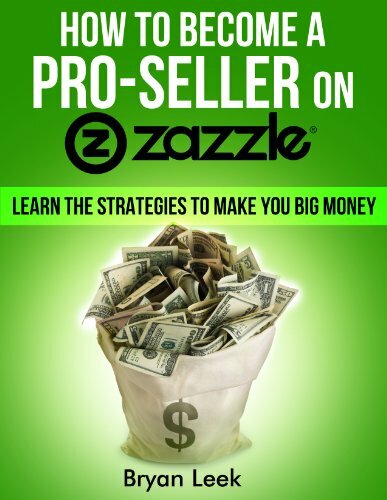 I validated a Zazzle product using the Rich Pin validator, and it was accepted and said it was on Pinterest. How do I get it onto one of my boards? Or do I? Or do I do both, pin it to a board and validate it separately and then it just floats around Pinterest? Sorry, really lost. I have been having my Pinterest as a business account. I definitely have to look into this ida of rich pins. Most products on Zazzle sell when the designs stand out. Marie: Apparently Pinterest is one of the most successful parts of some business' social media strategies. 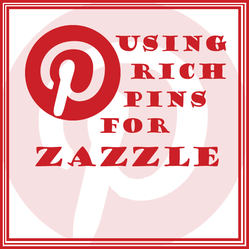 I have heard of rich pins but knew nothing about them so this is really useful information. I have never pinned any of my Zazzle items so I guess I really ought to think about doing that to hopefully increase interest that way. This was so simple to implement. Thanks for the easy instructions! I hadn't heard of rich pins before. Thanks for the information. I haven't tried it with Amazon products, but it might.